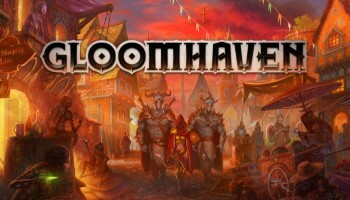 Gloomhaven is a co-operative campaign-driven combat board game in a persistent fantasy world. Players take the role of an adventurer who must explore, fight, and plunder their way through this realm. When all the players work well together, their adventurers can enhance their abilities needed to be able to clear out the dungeons and ruins and reshape the world with clever decisions. The game doesn't reset from one playthrough to another. But rather, like reading a true story, the game continues on the next campaign. Gloomhaven is card-driven. Each turn, a player plays two cards. The number at the top of the first card played will determine the initiative order. On the player's turn, they must carefully choose to use the top or bottom power of a card. Cards will go to a discard pile but can be recovered via a rest action. However, when you rest you begin to lose cards for the rest of the scenario and when you run out of cards, your character becomes exhausted and can't participate in the rest of the scenario. There are 95 scenarios and 17 character classes (each character has a personal goal) and after every scenario, players must make (moral) decisions on what to do, which will determine how the story continues. 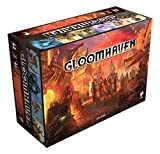 This makes Gloomhaven unique, epic, spice, drama and entertaining. 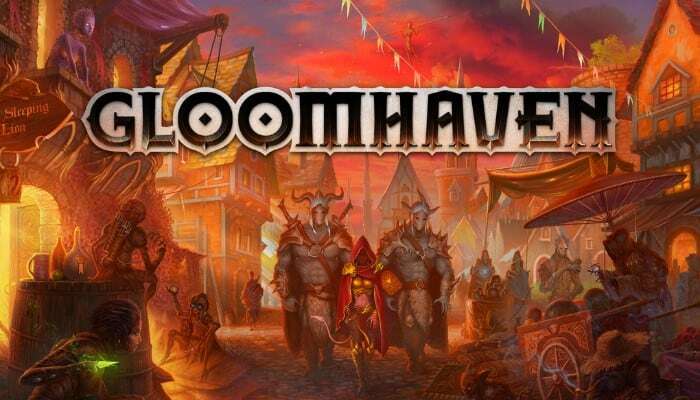 There is always more to unlock and to explore in the world of Gloomhaven. It's really a world in a box and we each have our own world to explore. This game is definitely worth getting and will make a huge hit to your gaming nights. Gloomhaven is a cooperative game of battling monsters and advancing a player's own individual goals. The game is meant to be played as part of a campaign, where a group of players will use the accompanying Scenario Book to string together a series of adventures, unlocking new content for the game as they progress. Any revealed scenario, however, can also function as a highly variable stand-alone experience. Playing ability cards is what allows a character to perform actions in a scenario. 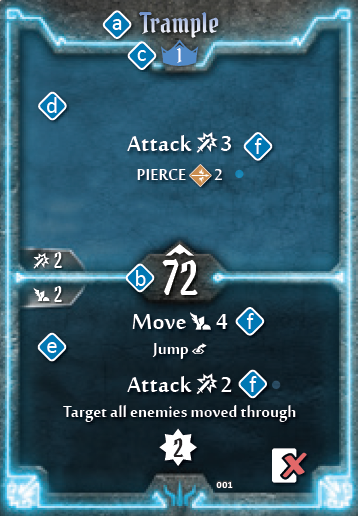 Each round players choose two ability cards and use the top action of one card and the bottom action of the other card, resulting in two actions for each player on his or her turn. All ability cards are specific to a character class and are acquired when starting a new character or by leveling up.